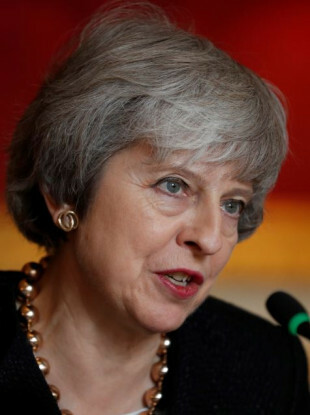 MORE THAN HALF of Conservative Party members would prefer a no-deal Brexit rather than the draft agreement reached by Prime Minister Theresa May and the European Union, according to a new opinion poll. When given a three options, 57% of Tory party grassroots members said they would prefer a no-deal scenario, 23% would back May’s deal, 15% would prefer to remain in the EU and 5% had no preference. If not presented with the remain option, over six in 10 (64%) members said they would opt for a no-deal scenario, while 29% would prefer the draft Withdrawal Agreement. The poll was carried out by YouGov for the Party Members Project, which studies membership of the UK’s six biggest parties and is funded by the Economic and Social Research Council. Its findings are not good news for May ahead of a crucial House of Commons vote on the deal later this month. In December, May postponed a vote on the draft Withdrawal Agreement so she could seek additional assurances on the backstop element of the deal. Earlier this week, European Commission President Jean-Claude Juncker called on the United Kingdom to “get your act together” in relation to Brexit. Juncker told German newspaper Welt am Sonntag it is “entirely unreasonable for parts of the British public to believe that it is for the EU alone to propose a solution for all future British problems”. “I have the impression that the majority of British MPs deeply distrust both the EU and [British Prime Minister Theresa] Mrs May. “It is being insinuated that our aim is to keep the United Kingdom in the EU by all possible means. That is not our intention. All we want is clarity about our future relations. And we respect the result of the referendum,” he said. Email “More than half of Tories would prefer no-deal Brexit over current agreement ”. Feedback on “More than half of Tories would prefer no-deal Brexit over current agreement ”.